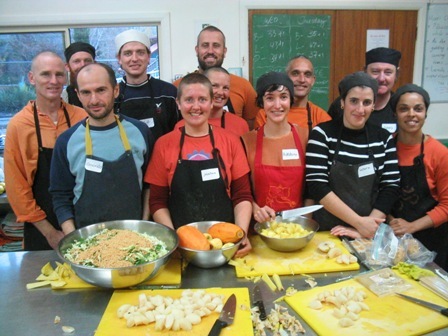 The kitchens of the peaceful Satyananda Ashram were a’flurry with all sounds culinary for my three-day cooking workshops. Here’s our crew for day one. 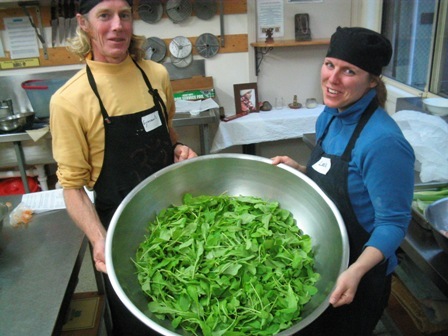 We were cooking for an evening meal of 60 hungry karma-yogis, hence our generous salad leaf quantities. 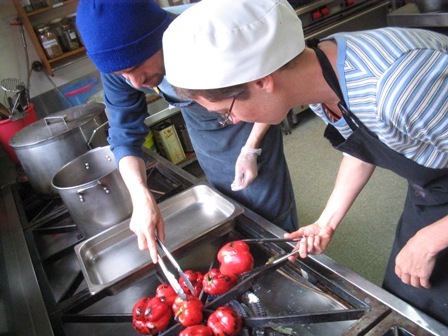 Our Syrian pomegranate and walnut dip required roasted red peppers, here expertly blackened over a naked flame by Govinda and Leela. Peeling oven-roasted peanuts for the North-Indian Cabbage Salad is fun when there’s a few of you doing it at once. Julie (second from left) brought a group of friends from Berry, a small town in New South Wales, to help with cut-up duties. 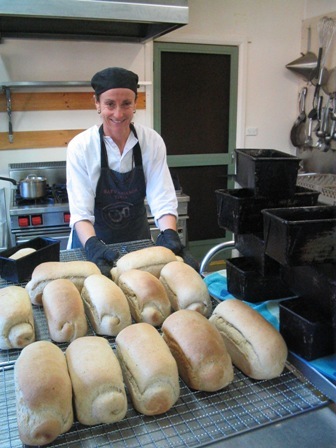 Jacqui baked some phenomenal loaves of bread. The kitchen was a pleasure to cook in. 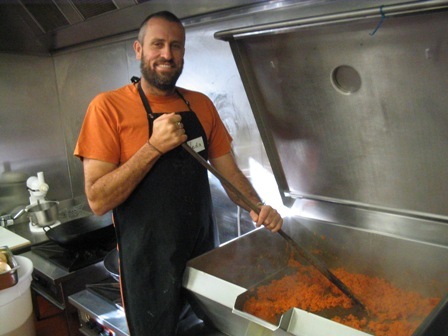 This giant Brat Pan, here attended to by Veda, was the ideal vessel to prepare cashew and cardamom-laced carrot halava, which cooked to perfection in record time.